We are the leading provider of professional packing services in London. 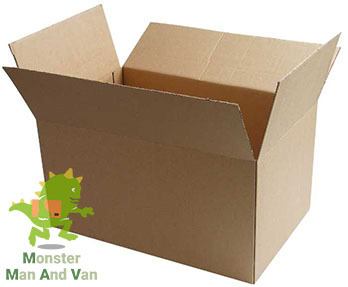 Monster Man and Van is not just any other moving company out there. We are dedicated to quality and customer comfort, and what better way to ensure your peace of mind throughout the duration of your moving day than to make sure that your goods are well packed and ready for the road? Thanks to our keen eye for details and high safety standards we have set out for ourselves in the past several years working as the leading moving firm in London, we believe we have managed to tailor the best packing service in the capital. All materials are of high quality and come on competitive prices that would put no strain on your budget whatsoever. Certain discounts are possible if you choose to match our packing service with a moving one. For further information, please do not think twice about contacting our polite and very helpful customer support specialists. Answers to your questions, free quotes and assistance with booking of a service await you with them. Get in touch now either over the phone or via email.